H: He Owns It All. This is based on the premise that all of our possessions are on loan from God. Once we turn it over to Him, we learn that we must respect our gifts and share them. E: Everyday Is An Opportunity. Each day we should seek out ways to improve the lives of others, one person at a time. R: Remember Your Blessings. A heart filled with gratitude tends to be a generous heart. Make a list of all of the things for which you are grateful and add to it often. You may be surprised by how many blessings you have been given. T: Thank Him. By acknowledging a greater creator, our egos are kept in check. 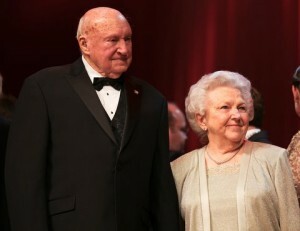 Many of S. Truett Cathy’s political views and personal opinions were based on his faith and interpretation of the Bible. Many of these principles were both widely supported and publicly detested; however, what can’t be debated is that he lived a generous life and positively impacted the life of thousands of young adults and families through his philanthropy. 1. There are 4 things to give. Time, talent, treasure and touch. Money is not always required. Everyone can have an impact. 2. 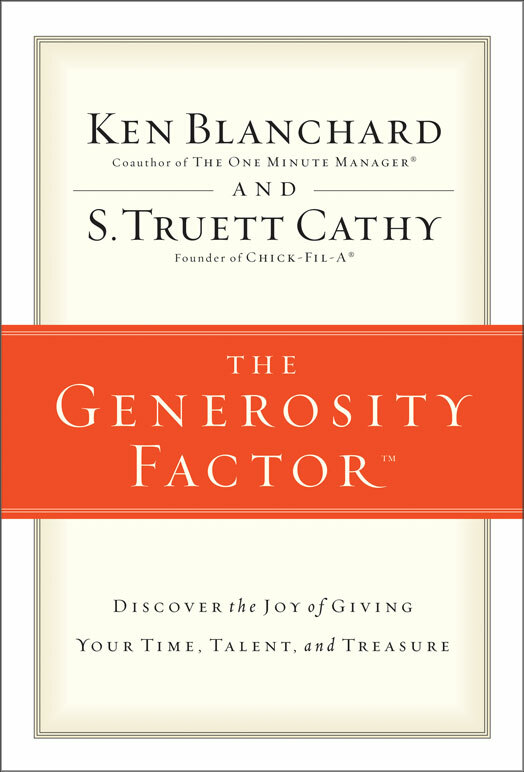 Generosity isn’t about doing the minimum; it is about doing more and doing the unexpected. It is not an event; it is an attitude that must be cultivated DAILY. 3. Successful people often feel that there is a gap between who they are and who they could become because only a few achieve SIGNIFICANCE. Success comes from wealth, achievement and status, while significance comes from generosity, service and relationships. Even though they are often used synonymously, they are very different. 4. A significant life is influenced by the Three M’s – Master, Mission and Mate. Put God in charge, choose a personal mission that impacts every decision you make and select the right partner who makes you better. 5. Attaining significance is determined by three factors – the sincerity of your generosity, the joy found in service and the selfless nature of your relationships. 6. As more good things flow out of us, even greater things flow toward us. What a great reminder that we are all here for an even greater purpose! Are you looking for a simple and affordable way to make a difference this week? Here’s your opportunity! On February 6th, Cassie was diagnosed with Invasive Ductal Carcinoma (aka Breast Cancer) at age 30. Because she has inflammatory breast cancer and multiple masses, she has to go through chemotherapy prior to undergoing a double mastectomy. The news came on the same day as the 10th anniversary of her daughter’s death. Cassie said that it was fitting to “have all bad things happen on the same day.” She has two young boys, Jaxon (7) and Callen (4). What I find most inspiring about Cassie’s story is that she is married to Josh, an Army parachute rigger, or ’92R’ for those familiar with Military Occupation Specialties. The family, originally from Texas, has been stationed in Kaiserslautern, Germany since August of 2012. That is a huge change from the Lone Star State! Of course, we all deeply appreciate the commitment that our service men and women make to preserving our freedom, but we must also applaud the commitment that the ‘force behind the force’ (the family) makes. Postponing careers, changing schools, leaving family and friends behind and missing out on the comforts of home are just a few examples of the sacrifices that they make. Cassie attends school and has continued to pursue her advanced education while in Germany. She has been getting up in the middle of the night to attend classes online and has still managed to maintain a 4.0 GPA. Thankfully, her school has allowed her to take a leave of absence during her treatment and is holding a place for her in the program. We have set a goal to gather 100 uplifting cards to help Cassie fight the fight and remind her that people at home are sending positive thoughts and prayers her way. We will keep a running total on our website as we receive them. Write a thoughtful note, include inspiring quotes, add a poem, tell a joke, make a bookmark, get creative! Anything loving goes! Cassie doesn’t know that this is happening, so she will be very surprised when she gets her care package. The plan is to have her open it on Skype. We will record the call and post a video on our website. 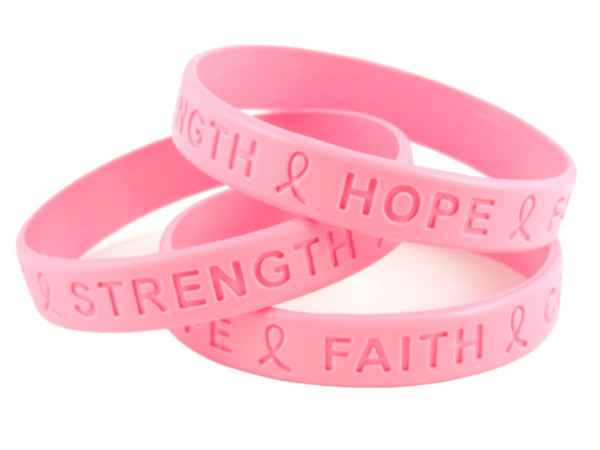 In addition, Molly Hills (one of our favorite Just Jenerous supporters) has generously donated three Stella & Dot “Courage” bracelets, which state “from caring comes strength.” So true! One is for Cassie, one is for her BFF (Rachel) who is helping to coordinate the give and one is for one of our card contributors. We will put all of your names in a hat and draw one lucky winner, so please put your name and return address on the envelope. Cassie will also receive a beautiful Stella & Dot “Frida” scarf, which can double as a fun pink head wrap! Please send your cards ASAP! And please SHARE this card campaign with all of your friends. It is a simple and easy way to make a huge difference in the life of one of our Army wives! We each have a special purpose; I firmly believe this. Some waste their time searching for it, rather than creating it. Some accidentally stumble upon dumb luck. Others, discover their calling later in life and use their experience to conjure up the courage to relentlessly pursue their passion. But few of us are able to realize it at a young age and work hard enough to achieve these ambitions, often not realizing that the path they are on is intentional and purposeful until it impacts their personal lives. 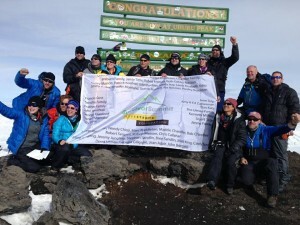 Meet Dr. Robert Masson, a Central Florida Neurosurgeon, who just climbed Mt. 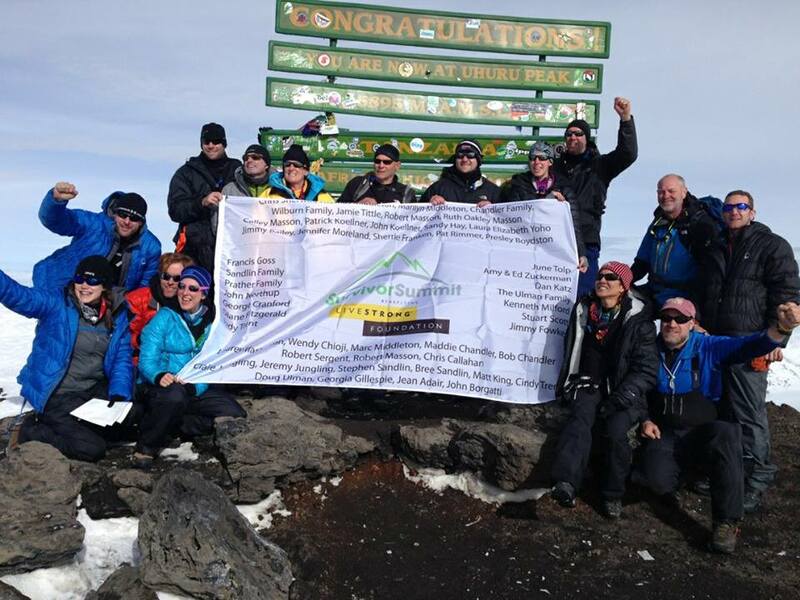 Kilimanjaro at age 50 with a team of 17 to personally raise $20,000 for cancer research via the Livestrong Foundation. I had the pleasure of meeting Rob many years ago, but never knew his personal story until learning about his recent climb. When Rob was a young medical student, his stepmother died of cervical cancer as his 10-year-old half sisters sat by her side. Fast forward about a decade and his twin sisters were thriving as track stars at Arizona State. Rob was the Chief Resident of Neurological Surgery at University of Florida Shands Hospital and was at the Dallas airport flying to a neurosurgery interview in Seattle, when he was paged over the PA system. He soon learned that one of his sisters had a bad kidney infection and needed a needle biopsy. Listening to his intuition, he got on the last flight to Phoenix so he could be with her and review her case. He knew a needle biopsy was too risky for her to endure, so against the doctor’s advice, he had her flown back to UF Shands where his trusted team of surgeons and advisors were able to perform a 14-hour right kidney resection, which included surgery on a third of her liver. She survived the surgery, then a year of chemo/radiation and even an experimental bone marrow treatment. Calley had a 5-percent/5-year survival projection. Thankfully, she is still thriving and living life to its fullest…traveling, teaching yoga, rescuing animals and loving an active outdoor lifestyle! Last year, Calley and her twin sister, Christie, watched alongside Rob and his brothers as their father tragically lost a 13-year battle to prostate cancer. Rob’s commitment to medicine, and his pursuit of purpose, saved his sister’s life. He has endured so much loss, but continues to work hard through his career and through his recent personal achievements to help those who, like his family members, face cancer. Dr. Masson serves as a reminder to us all that pursuing our purpose often serves a greater purpose than we may realize at the time. Listen to that inner voice and pursue your dreams. That voice is there for a reason. Dr. Robert Masson (top row, seconf from the right) with Wendy Chioji and Marc Middleton at Survivor’s Summit (Mt. 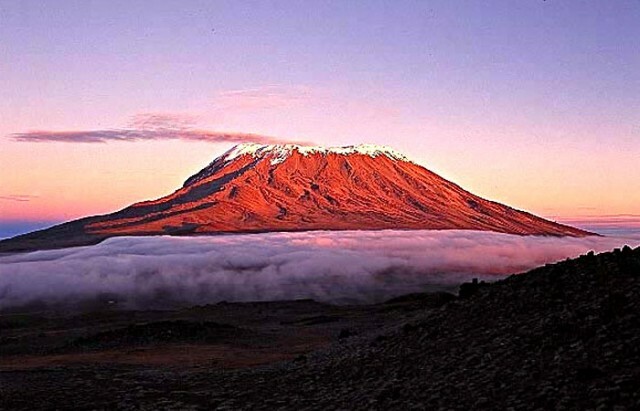 Kilimanjaro) via the Livestrong Foundation. Spreading the Love on Valentines Day! The Valentines Day surprises were heart-warming! 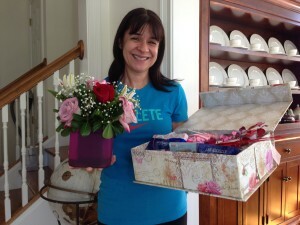 It was so much fun to share some love with women who are going through relationship transitions. We had the whole gamut of reactions – caught off-guard, ecstatic and brought to tears. But, I know each of them appreciated it in their own ways. Our week of love here at Just Jenerous may be over, but love is EVERY day. May you all continue to give love and receive love freely! I’ll tell you a really sweet story of how my son uniquely showed his love for his father. Trevor asked his father one evening why he tells him he loves him so much throughout the day. 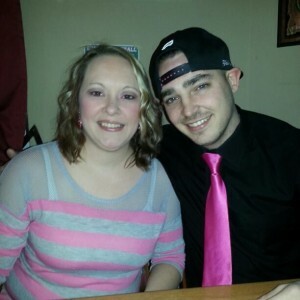 Ray responded, “because when I was growing up my father never told me that he loved me, so I want to make sure that you know everyday how much I love you.” Later that evening Trevor called his dad upstairs, and there on his father’s bed, Trevor had placed a post-it note that read, “I love you Ray! Love, Dad” It still chokes me up thinking of how God placed it in my son’s heart to do such an overwhelming gesture of love. Children who are loved just assume that every parent loves their children. This little boy took it upon himself to make sure his own dad was finally told that he was loved by his father. It was obvious to him that his father was loved. God has a funny way sometimes of letting us know that we are loved. It may simply be an oddly familiar smile from a stranger, a tender butterfly kiss from a baby, a cozy snuggle session with a pet, or even a message through the innocence of a child like Trevor. The signs are all around us. 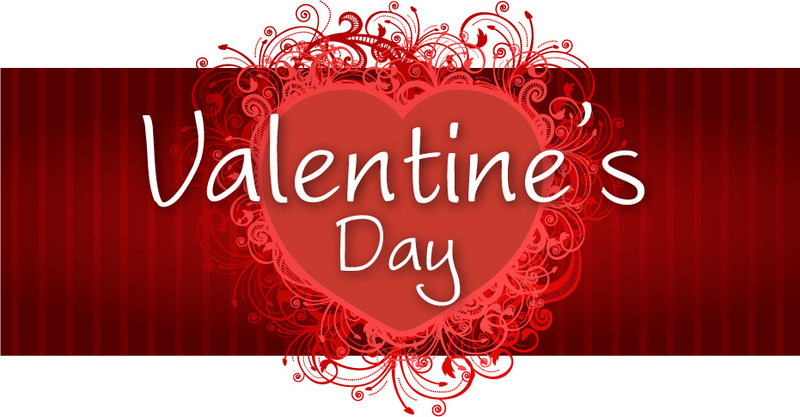 Tomorrow is Valentine’s Day and you will see a message that will let you know that you are loved. For those who give love will receive love. You just have to pay attention. There are signs everywhere!